Depression is a significant problem for elderly individuals—those suffering from illness, anxiety over various issues (including aging), seniors without a support system, or a general feeling of loss of purpose are at highest risk for depression. Depression is an under-recognized, under diagnosed, and often untreated medical illness. The risk of depression in elderly individuals does increase as a loved one loses his or her ability to function, or if physically limited. With an estimated 1-5% of seniors suffering from depression, it’s important to detect and treat depression in older adults. It’s estimated that more than 6 million adults age 65 or older suffer from depression and less than 10 percent are receiving treatment for it. Depression is not a normal part of aging. It’s normal to experience sadness, grief, and temporary negative feelings, but persistent symptoms of depression can impair and interfere significantly with a loved one’s ability to function. Loneliness and isolation is one of the most common causations of depression—elder care can make up for inadequate social support and assuage some of the problems associated with living alone, having a small social circle, and provide help for adults who suffer decreased mobility due to illnesses or no longer being able to drive. Senior caregivers also provide help for elderly loved ones suffering from illness and disability, chronic and severe pain, and pain and suffering due to surgery and disease. How Can Elder Care Providers Treat Senior Depression? Elder Care is available for seniors who wish to live in their own apartment or private housing and enjoy the freedom to do as they wish, while receiving the care necessary to allow them to continue enjoying their normal lifestyle. Seniors who require assistance but do not wish to relocate to a nursing home or hospital facility appreciate the option of elder care and this kind of freedom can make a difference for seniors suffering from depression. Senior care and assisted living programs provide much welcomed companionship and help seniors remain safe and active. Senior care providers plan and prepare healthy meals, assist with shopping, errands, and everyday activities such as taking medication and personal hygiene. If your loved one is experiencing depression or anxiety over his or her household or health, senior care can be of assistance and provide peace of mind. Learn more about how senior care can make a difference for seniors suffering from depression. 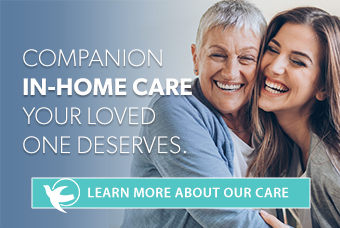 Caregivers, if the stress of caring for your depressed loved one or parent is conflicting with your own personal life, work schedule, or family life, consider learning more about available senior care services to ensure the best quality of life for both you and your loved one.